MTA CEO Paul Bugeja presenting the award to Djar il Bniet. 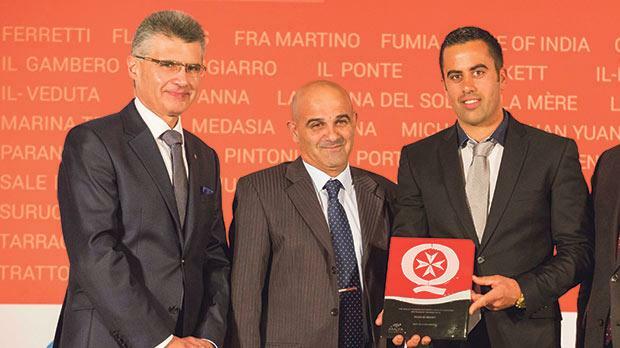 The second edition of the MTA Quality Assured Restaurant Awards this year featured 36 restaurants being awarded the seal for the first time and 70 confirmed from the first intake, bringing the total number up to 106. MTA chairman Gavin Gulia awarding Medina Restaurant. 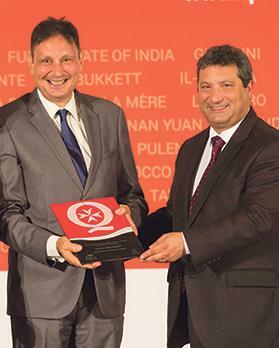 MTA chairman Gavin Gulia, together with CEO Paul Bugeja, presented seven awards, six of which were based on the results of mystery guest visits organised by the authority throughout the year, while the other award, sponsored by Review Pro, was for best customer feedback based on over 13,500 customer reviews, covering all Quality Assured restaurants. All participating restaurants were assessed by means of a mystery guest who followed set criteria covering service, hospitality, food, ambience, as well as other areas. Whilst the QA seal itself is valid for a two-year period with an interim visit, the special awards are valid for a one year period. The aim of the QA seal is to encourage best practice and recognise those establishments that consistently deliver a quality product. Criteria are updated regularly to ensure continuous improvement across all areas. Two examples of new restaurant criteria for 2016 are the inclusion of a criterion requiring a minimum of 30 per cent or 20 bottles of wine from locally grown grapes available at all QA restaurants, as well as one covering compulsory training on first aid. The QA seal aims to help customers make informed decisions about best places to eat at. The QA seal is supported by the Ministry for Tourism, the MHRA and Marsovin. The awards went to De Mondion, Brookies and Djar il-Bniet (Best in Class Award); Medina Restaurant, Commando Restaurant and Djar il-Bniet (Best Service and Hospitality Award); and Lovage Bistro (customer feedback award). To view the QA establishments or to find out more about this voluntary scheme, visit www.qualityassuredmalta.com.